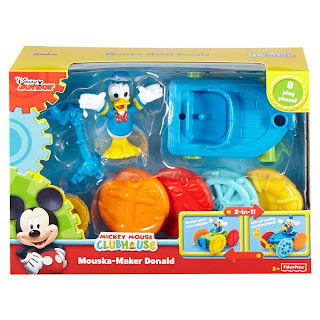 Walmart has the Disney Mickey Mouse Clubhouse Mouska-Maker Donald 2-in-1 Vehicle Set on sale for $5.87, down from $11.74. 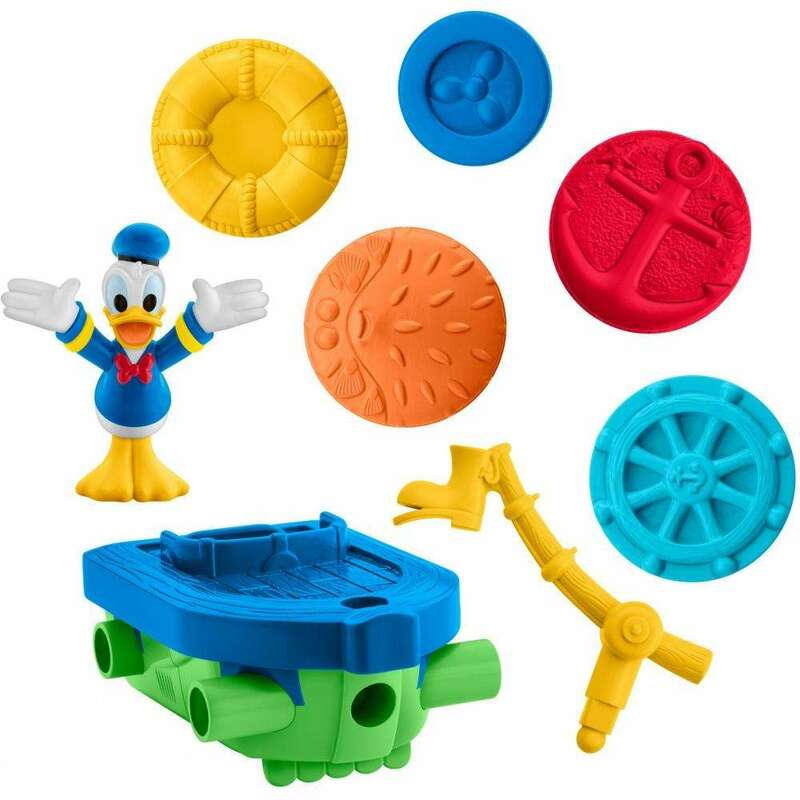 There's nothing more fun and exciting than helping Donald Duck design and put together his latest contraption, and now you can help him build this fun two-in-one vehicle! 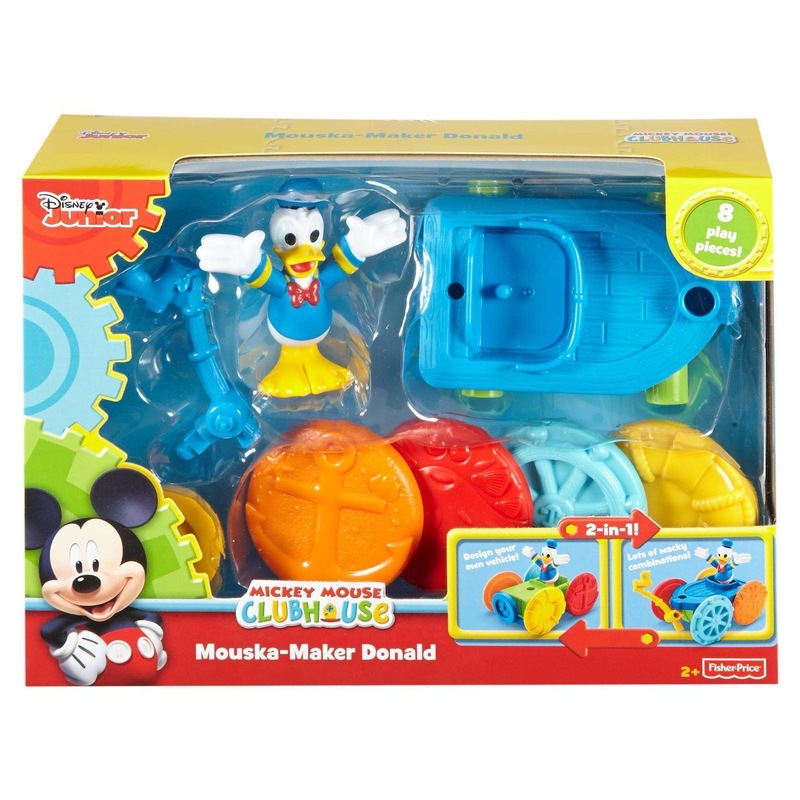 Let the Mouska-maker in you create to its heart's content as you use all the plug-in play pieces to build two different silly vehicles for Donald any way you wish. 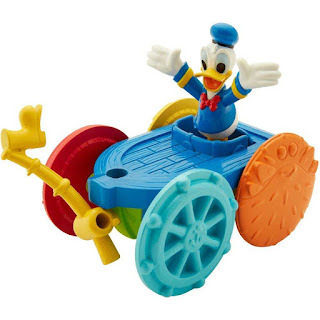 By flipping the chassis, you can build a car or a fishing boat. Use your own ideas to imagine these wacky and exciting new inventions for your favorite Disney Mickey Mouse Clubhouse pal, Donald Duck.